At Southside we have a private lounge that seats up to 50 people. Our lounge is perfect for events such as birthdays, staff parties, wedding and baby showers etc. Our private lounge is fully equipped with a bar and televisions to fulfill whatever needs your party has. If you are travelling via coach our parking lot is bus accessible. To reserve the private lounge, and to discuss possible meal options, call us today at (519) 649-4066 and speak to one of our managers who would be more than happy to help you. 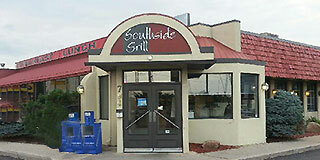 © 2017 Southside Grill. All Rights Reserved.